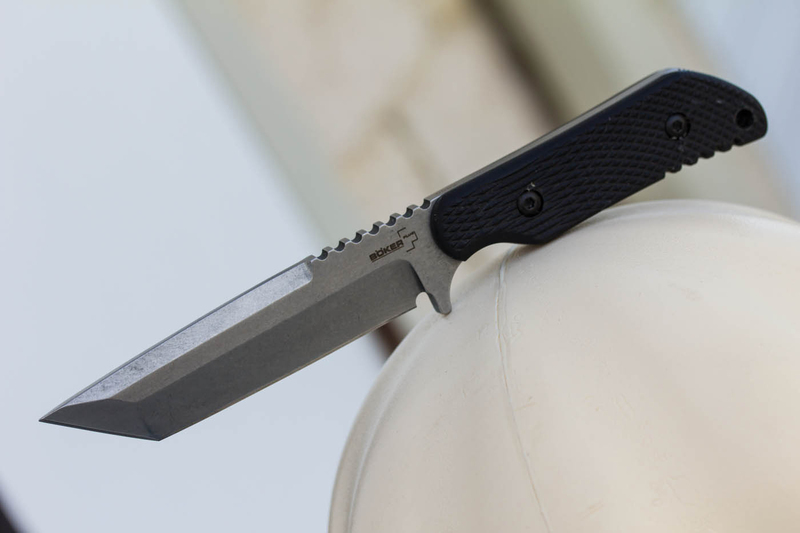 The second fixed blade knife from US custom knife maker Sal Manaro is based on a design that Sal developed for a SWAT officer - a knife for rough deployments, rugged, strong and reliable. The solid 6.7 mm thick construction from a 440C piece is close to what one would call indestructible. The hollow grind on the long blade ensures breathtaking sharpness and a choil on the short blade ensures a high degree of solidity. 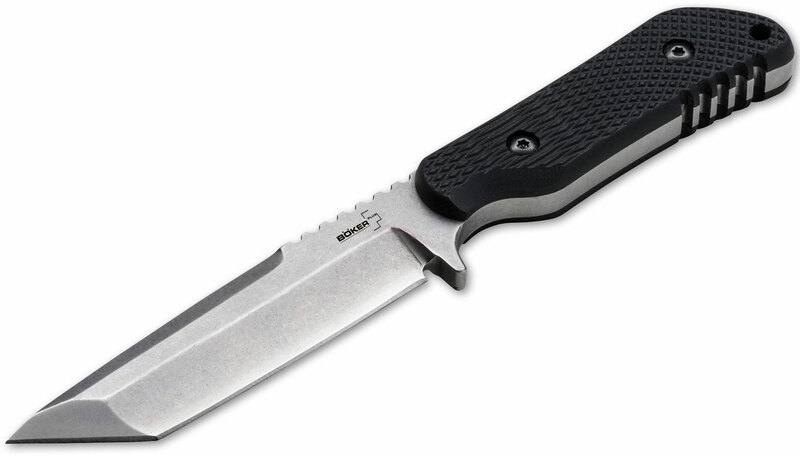 The grip structure of the G-10 scales, typical for Sal Manaro, gives the knife a reliable and secure grip under all circumstances. 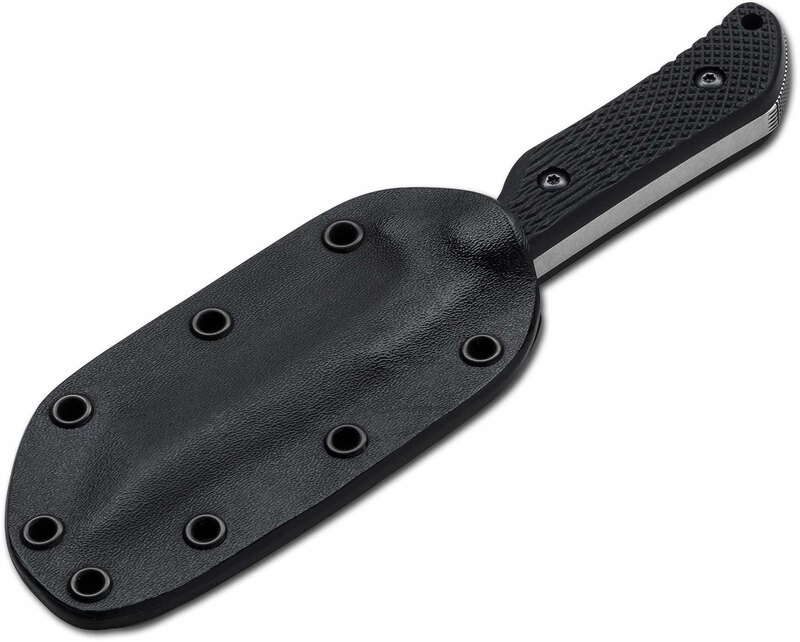 Includes lanyard hole and rugged kydex sheath with belt adapter. 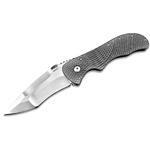 Hey, I wanted to share "Boker Plus Sal Manaro SM-10T Fixed 4-1/2 inch Stonewash Tanto Blade, G10 Handles, Kydex Sheath (02BO451)" with you from KnifeCenter.